We have gotten to an extent where specification of phones are now carrying bizzare features. Just think about it, you might just be seeing it faster than you think and as it stands, i think the season of Modular have come to stay. 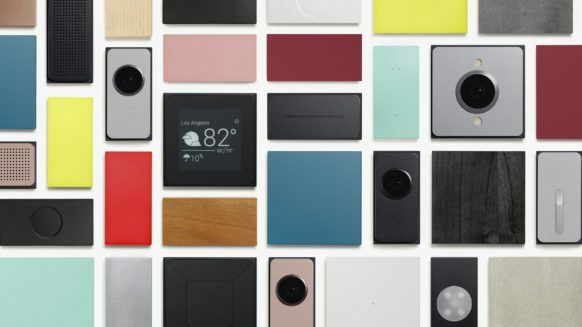 In the just concluded Google I/O, the Google team declared the launch of the Project Ara. This is actually a modular kind of phone that comes with all of its features, fixable. playable, just name it. Sometimes last month, we published an article on regards the LG G5 which obviously means, Google aren’t the first to introduce us to Modular Smartphones even though we never talked/heared much about the G5 as on initial launch. But i am happy, we now have something to say. 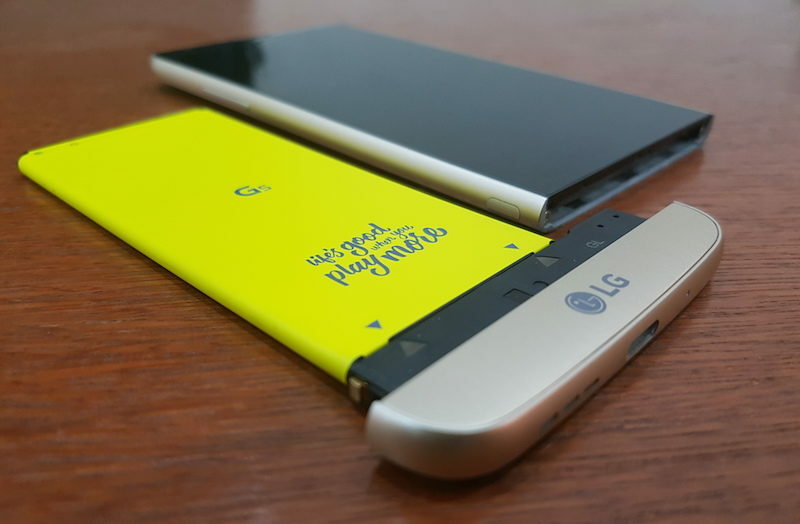 The LG G5 is a simple phone that comes with fixable parts and modules like – battery, camera, processor, anything – user can replace without having to fiddle with a soldering iron. Sensor: That someone might not have to fiddle around with your device unecessasarily. This is one of the features i find most interesting in the G5 following the fact that it comes fingerprint sensor/home button on the back of the phone. Camera: That yea may shine brightly. The G5 comes with 3 cameras, yes you read that right, Three. We have a 16px camera,78-degree shooter and finally a 8-megapixel, 135-degree lens which is the selfie camera.. Bizzare i must say. CPU: Cos’ We need Space. The G5 comes with a 4g of Ram so i guess you can decipher what the user experience should look like. Battery Life: But Grooves! The G5 comes with a 2800mAh battery capacity. You might be seeing this as a normal battery life, but trust me, it last even longer than some 4500, 3000 blah blah mAh of some mobile brands. Price: Cos’ Bank! The Price of the G5 is not looking in anyway funny as you might need to distrupt a bank to get one. But just in case you have any $$ you aren’t,you can actually go get the LG G5 for N200,000. Sensor: That someone might not have to fiddle around with your device unecessasarily. This is one of the features i find most interesting in the G5 following the fact that it comes fingerprint sensor/home button on the back of the phone. Camera: That yea may shine brightly. The G5 comes with 3 cameras, yes you read that right, Three. We have a 16px camera,78-degree shooter and finally a 8-megapixel, 135-degree lens which is the selfie camera.. Bizzare i must say. CPU: Cos’ We need Space. The G5 comes with a 4g of Ram so i guess you can decipher what the user experience should look like. The G5 comes with a 2800mAh battery capacity. You might be seeing this as a normal battery life, but trust me, it last even longer than some 4500, 3000 blah blah mAh of some mobile brands. The Price of the G5 is not looking in anyway funny as you might need to distrupt a bank to get one. But just in case you have any $$ you aren’t,you can actually go get the LG G5 for N200,000. And that is it. Would you get the G5 considering the awesome features it comes with? Share your thoughts below.